This is an Ultraviolet digital copy code for Lone Survivor. 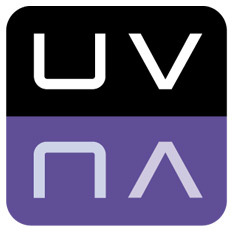 Instantly after your payment, you will receive an unused redeem code, which can be entered into the UltraViolet website in order to get a legal digital download and/or stream of the movie! Mark Wahlberg (The Fighter, Contraband) leads the cast as Marcus Luttrell, the author of the first-person memoir â€œLone Survivor,â€ whose book has become a motivational resource for its lessons on how the power of the human spirit is tested when we are pushed beyond our mental and physical limits. Starring alongside Wahlberg as the other members of the elite team who gave everything for their brothers-in-arms are Taylor Kitsch (Savages, Friday Night Lights) as Michael Murphy, Emile Hirsch (Into the Wild, televisionâ€™s Bonnie and Clyde) as Danny Dietz and Ben Foster (3:10 to Yuma, Kill Your Darlings) as Matthew â€œAxeâ€ Axelson. Eric Bana (Star Trek, Hanna) joins the core team as Erik Kristensen, their commanding officer in Afghanistan. Click the button below to add the Lone Survivor (Ultraviolet Digital Copy) Code to your wish list.